Spectacular Elite productions from Vintage Era to the present. Nominated for a Mo Award 2013. Production routines from the past , bring our show into the present. Parasols, Sequined gowns adoring and elegant. 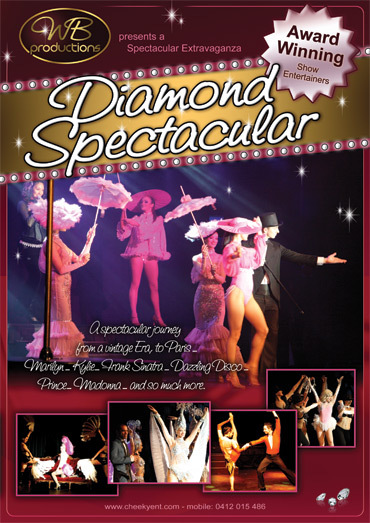 Our show travels from a vintage era to Marilyn to the 60’s – 70’s Dazzling Disco theme to the present.